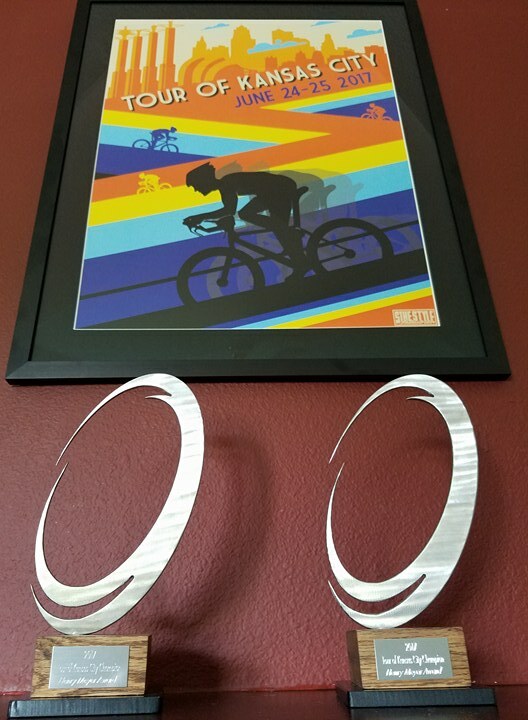 The 2017 Tour of KC Championship – Henry Meyer Awards are ready to go! We have two custom, hand-made trophies created right here in Kansas City. The Pro 1/2 male and Pro 1/2/3 female omnium winners will each receive their own trophy. In addition, we will have a new permanent Henry Meyer Award Trophy, a larger version of these trophies, which will contain the names of all past, present, and future winners of the Tour of Kansas City engraved on the award. This year’s winners will be added to the list of names which includes former Olympians and pro cyclists that have been part of the 54 year history of the Tour of KC. Those interested in learning a little more about the history of the event and the Henry Meyer Award can check out this article. Machine Head is located in the Crossroads Arts District, right along the finishing straight of the KC Crossroads Criterium. 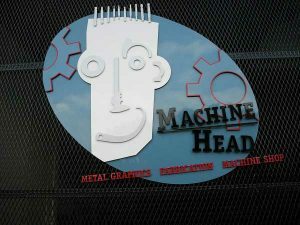 If you have any signage, art, or award needs please contact Machine Head and let them to get your project started and thank them for supporting the Tour of Kansas City.